Lagunitas - Boston GreenFest - Aug. 16-18, 2019 - FREE! Brewed in a bizarre old world tradition using only water, hops, yeast, and malted barley. Lagunitas Brewing Company began on a kitchen stove in Northern California in 1993. From actually getting beers into bottles and onto the streets, Lagunitas looks to the future… From expanding the Petaluma Brewery to building a second in Chicago and soon a third in Azusa CA to bringing its flagship IPA across the pond, Lagunitas could probably make good beer on the Moon. 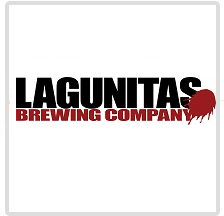 To go to Lagunitas' Website, click HERE.